Back in the dark ages, before instagram and the internet, there were cheesecakes. Darn good ones…Sweet and savory. Baked and unbaked. 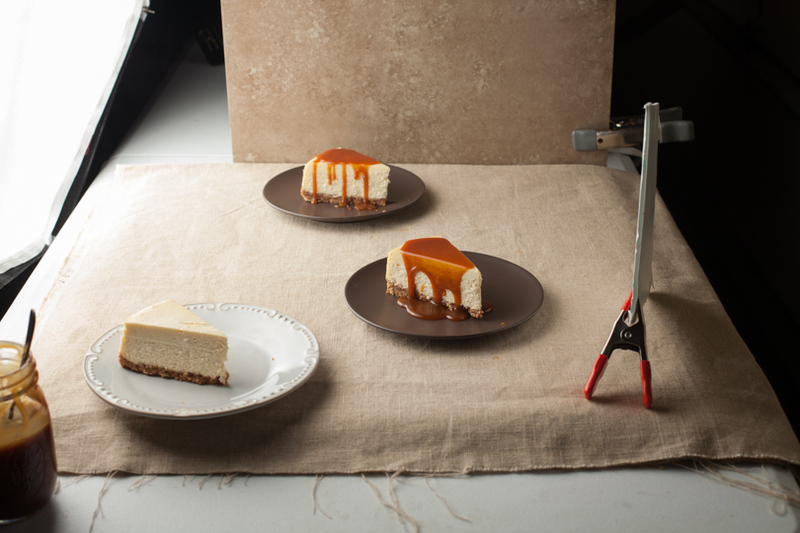 New York style and Philly style cheesecakes. 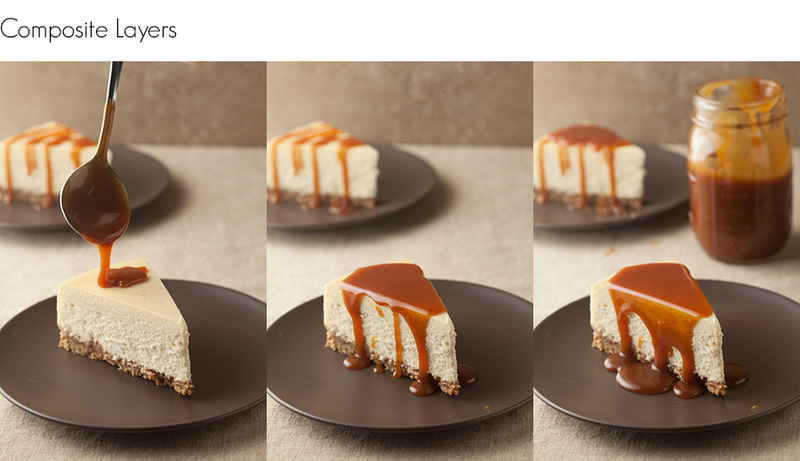 My internal Pinterest board (my memory) carries an image of a particular pumpkin cheesecake from a palm-sized, 1974, photo book called “15 Cheesecakes.” That cake was a stunner and started my continuing love of and fascination with all things cheesecake. I am sharing with you one of my favorite cheesecake recipes. This Creamy Almond Cheesecake isn’t difficult to make. Follow the instructions and you will be gifted with a velvety, no crack, beauty of a cake. The almond flavor is rich, yet subtle. The graham cracker crust is nutty, sweet, and salty. Serve the cheesecake naked with coffee. Laden it with all manner of fruity toppings, or drape with chocolate sauce, or serve it with Amaretto Caramel Sauce. Yum. It is so good! 1. Preheat the oven to 400 degrees. To make the graham cracker crust put the graham cracker crumbs and almonds into the work bowl of a food processor. Pulse until the almonds are broken down and blended with the cracker crumbs. Add the melted butter and sugars. Pulse on/off until crust is blended. 2. Set the buttered spring form pan on a large sheet of heavy duty aluminum foil. Wrap the exterior base and sides of the pan with the foil. Empty the crust mixture onto the interior base of the prepared pan. Using the back of a large spoon or the base of a drinking glass, tamp the graham cracker mixture down in an even layer over bottom of the pan. Bake for 10 minutes. Remove the spring form pan from the oven and set aside to cool. 3.Reduce the oven temperature to 325 degrees. Fill a large saucepan with water and bring the water to a simmer. 4. To make the cheesecake batter, put one (8 oz.) package of cream cheese into the work bowl of a stand mixer. Cream the cheese on medium speed. Add the granulated sugar and brown sugar. Cream on medium speed until blended. Add the remaining cream cheese, one (8 oz.) package at a time, beating until the cream cheese is well blended after each addition. Add the vanilla and almond extract. Beat on medium speed until blended. Add the sour cream and beat on medium low until blended. Add the eggs and yolk, one at a time, beating on medium low speed. until blended. 5. Set the wrapped, crust filled, spring form pan on the center of the roasting pan. Pour the cheesecake batter into the spring form pan, using a spatula to scrape the last bits of cheesecake batter into the pan. Fill the roasting pan with the simmering water so that the water comes half way up the sides of the foil covered pan. Put the roasting pan in the oven and bake the cheesecake for about 1 1/4 to 1 1/2 hours. The cheese cake is done when the cake is just firm (with a small bit of wiggle in the center of the cake) when the edge of the pan is gently shaken. Remove the roasting pan from the oven. to separate it from the pan. Cool the cake to room temperature. Remove the foil. Open the latch on the springform pan and remove it from the cake. Lightly cover the cheesecake with plastic wrap and chill the cheesecake in the refrigerator for at least 4 hours, preferably overnight. 7. 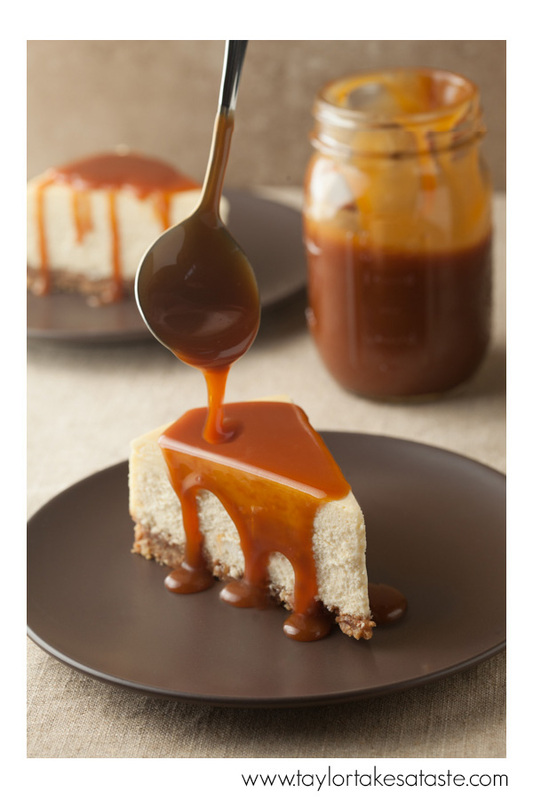 Serve with Caramel Sauce that has been flavored with 2 to 3 Tablespoons of Amaretto. The final picture that you see above isn’t a single picture. It is actually a composite of three different pictures. Below are the three images that were used. I took pieces from these composite layer images and used Photoshop to combine them into the final image that you see at the beginning of the post. Below is a set shot showing the lighting set-up. If you want to learn more about food photography, check out the downloadable PDF series I have created called photographing FOOD. this looks amazing, I have a craving!